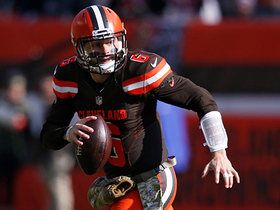 Reed signed a one-year, $2 million deal with the Cardinals on Saturday, Ian Rapoport of NFL Network reports. 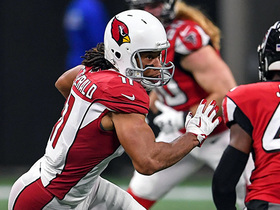 Analysis: Reed is expected to play outside linebacker for the Cardinals, providing a bit of depth for a team that is expected to see at least three meaningful linebackers enter free agency during the offseason. 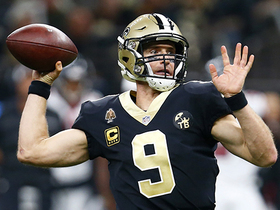 Reed posted Wednesday on his personal Instagram account that he won't be returning to the Falcons in 2019, Vaughn McClure of ESPN.com reports. Analysis: Reed has spent the past four years with Atlanta, playing in at least 13 games each season and totaling seven sacks over 60 games. The soon-to-be 32-year-old will likely continue to work in a part-time backup role wherever he lands this offseason. Reed registered 24 tackles, one sack and one forced fumble this season for the Falcons. 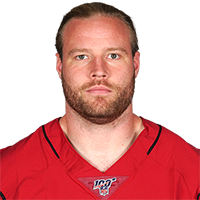 Reed and the Falcons have come to terms on a revised contract which will keep the veteran defensive end in Atlanta for a fourth season, Ian Rapoport of NFL Network reports. Analysis: The reduction of Reed's $5.44 million cap hit affords Atlanta some much needed financial wiggle room, with the Falcons entering the offseason as a bottom-10 team in terms of available cap space. The eight-year veteran out of Cal proved to be more than a rotation player in 2017, starting in 14-plus games for the first time since 2013 and accounting for the second-highest sack total of his career with four. Reed produced 41 tackles and four sacks over 16 games in 2017. Analysis: Reed yet again proved to be a force in run support, ultimately grading out as Pro Football Focus' 10th-highest-graded 4-3 defensive end in that area. However, he's also proving to be a low-floor, low-upside fantasy option due to his modest production in both the sack and tackle departments. Since it's hard to see that changing in 2018, Reed shouldn't be on the fantasy radar in most formats. 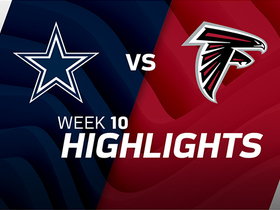 Reed recorded three tackles, all solo, and a sack in Sunday's win over the Cowboys. 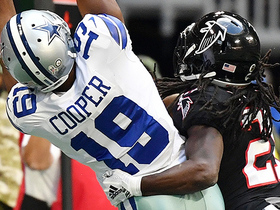 Analysis: Reed has a seen a drop in defensive snaps over the past few weeks but he was still able to make his presence felt Sunday against the Cowboys. It was his first sack since Week 4, which was also the last game he had at least three solo tackles. Arizona Cardinals wide receiver makes three Atlanta Falcons defenders miss on a 16-yard gain. Dallas Cowboys wide receiver Amari Cooper reaches high to catch quarterback Dak Prescott's throw for a first down. 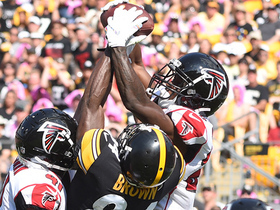 Atlanta Falcons safety Damontae Kazee intercepts pass intended for Pittsburgh Steelers wide receiver Antonio Brown. 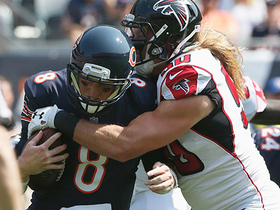 Atlanta Falcons defensive end Brooks Reed sacks Chicago Bears quarterback Mike Glennon to end Bears final drive. 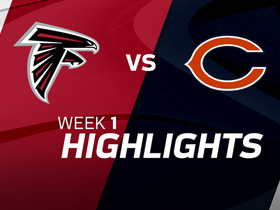 See highlights from the Atlanta Falcons vs. Chicago Bears Week 1 matchup. 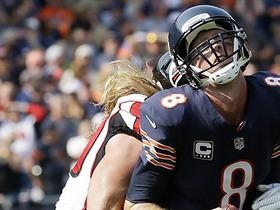 Atlanta Falcons defensive end Brooks Reed sacks Chicago Bears quarterback Mike Glennon for a loss of 12 yards. 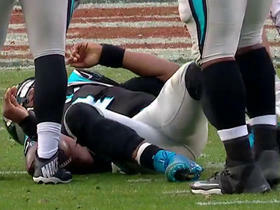 Carolina Panthers quarterback Cam Newton is taken down by Courtney Upshaw and Brooks Reed on fourth down.